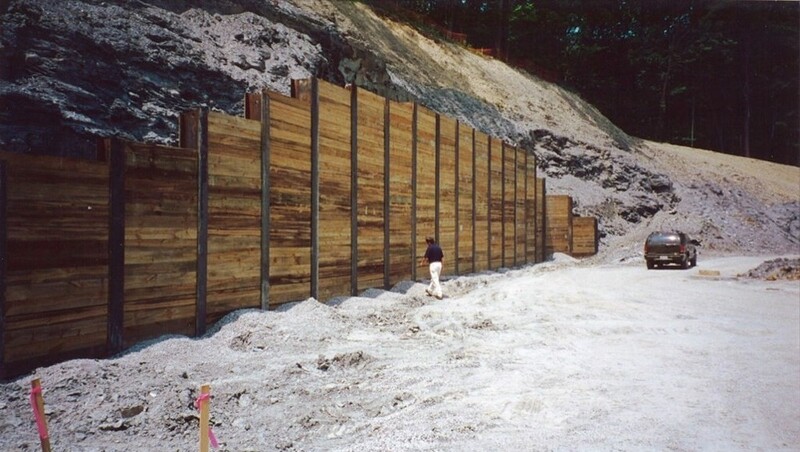 When your site requires a retaining wall for grade separation in a cut condition, Soldier Pile Retaining Walls provide an effective solution. Soldier Pile Retaining Walls can be placed on the property line and only require a few feet of access for final backfilling. Because you are only cutting out the soil you need to install the Soldier Piles, you can minimize the cut and fill. Facings available are treated timbers or pre-cast concrete panels with form finishes and stains. Steel piles can be painted to blend with the facing color.